Millersville launched its 2020 self-study process on Friday, December 15, 2017 with the first meeting of the 2020 Middle States Steering Committee (MSSC). 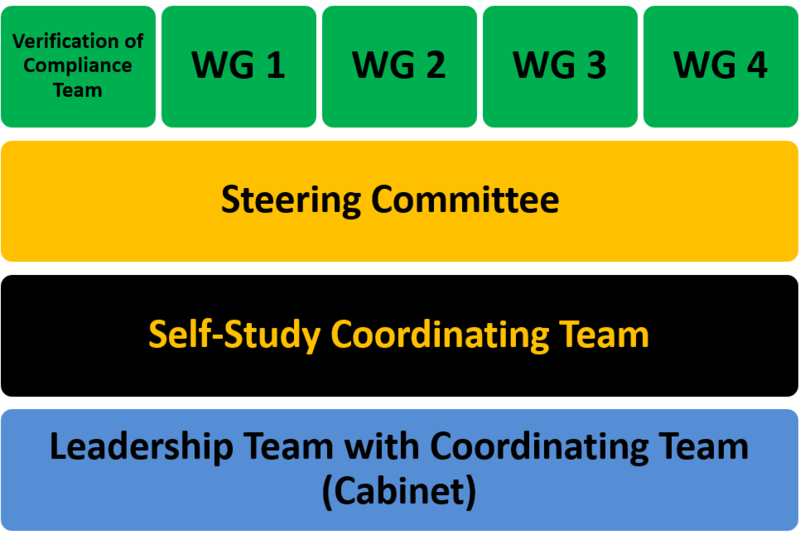 The first task of the MSSC will be to create the self-study design which will include structure, institutional priorities and self-study outcomes, and a preliminary evidence inventory. The MSCHE reaffirmation decision will be available in July 2020. Millersville University received formal approval for the 2020 Self-Study Design in October 2018 After MSCHE Vice President Dr. Sean McKitrick visited campus on September 12, 2018. Millersville's current Middle State's accreditation status may be found in the MSCHE Statement of Accreditation Status. The Statement of Accreditation Status may be viewed HERE. Engage in inclusive and transparent self-appraisal process. Advance strategic planning to strengthen our future.